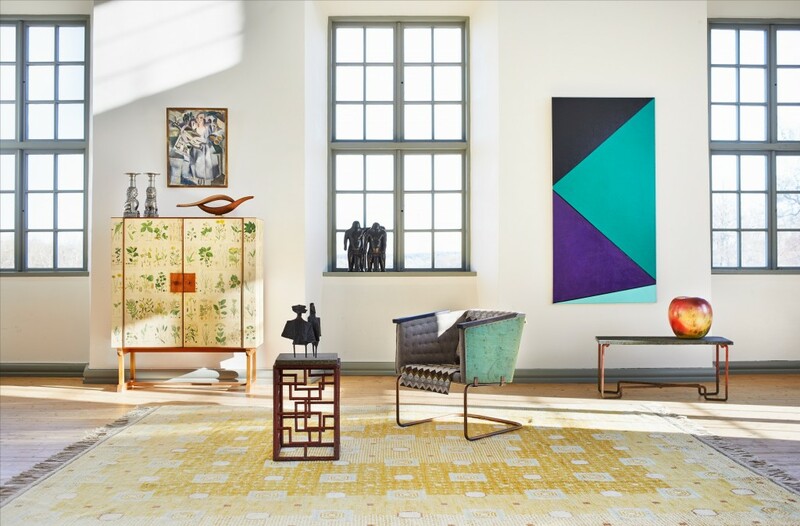 A wonderful collection of assorted contemporary art and unique designs are coming to a Swedish auction house. 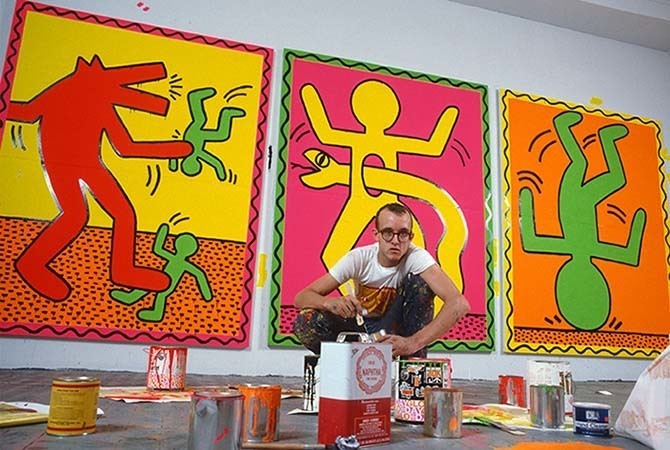 Keith Haring, the 1980s punk wunderkind, is today considered one of the most important pop artists born out of the city's street art culture. He was inspired by cartoons and mass-market advertising language and created his own distinct style of Pop Art, with his easily recognized, boldly colored faceless human figures. In the 1980s, Swedish vodka company, Svedka, came up with a brilliant marketing ploy to get famous New York Pop artists to depict their bottle in their signature style and increase their brand recognition in the New York nightlife scene. Andy Warhol was the first collaborator on a marketing campaign with Svedka that became wildly successful. 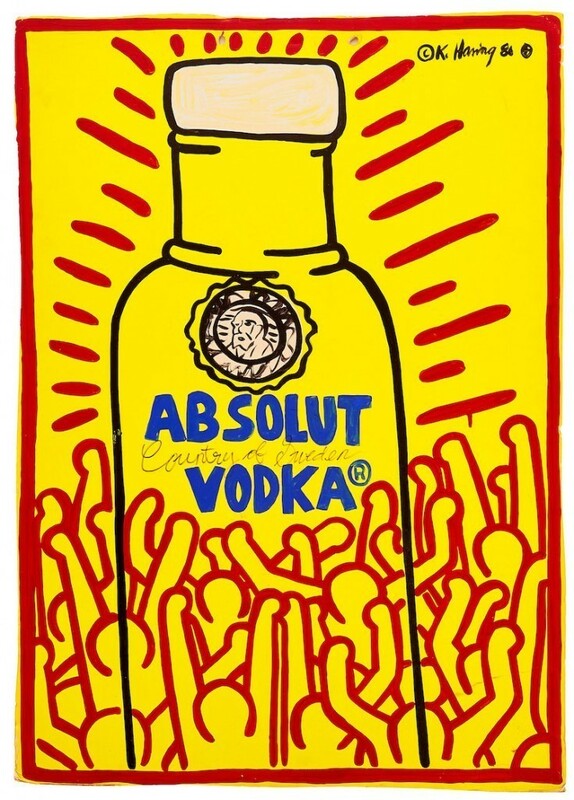 Keith Haring was asked to be a part of the Svedka art marketing campaign and he completed Absolut Vodka in 1986. Originally, the 3-foot tall work was purchased directly from the artist and then sold at Christie’s in May 1990 before it ended up with its current owner. 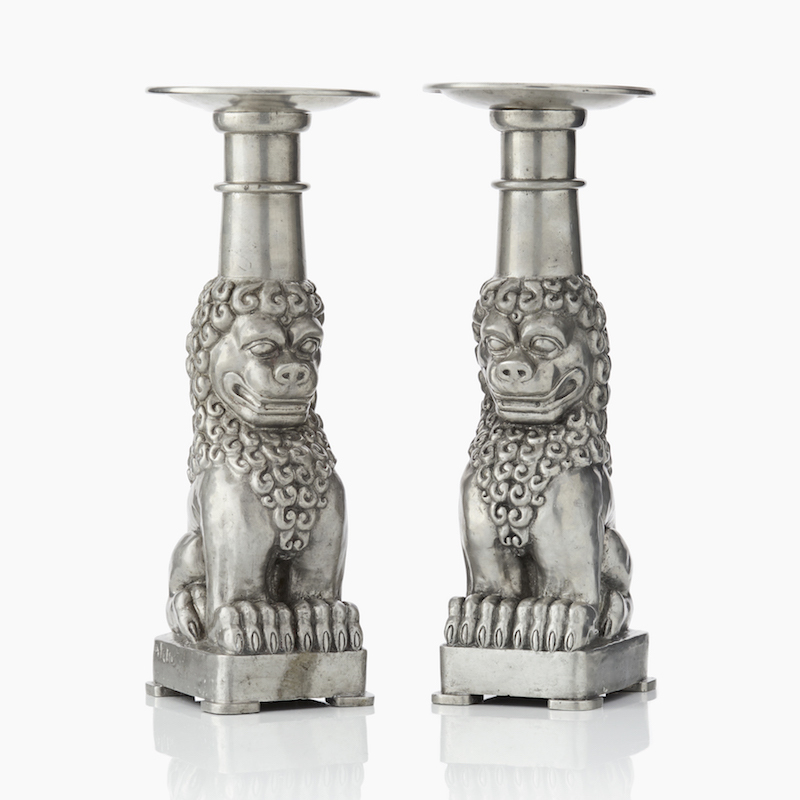 One of the most beautiful and unique items are these two candlesticks from 1923-28 designed by Anna Petrus and cast at Herman Bergman Konstgjuteri in Stockholm. Anna Petrus was an innovative Swedish designer known for her highly ornamental pewter vases, candlesticks and small sculptures. 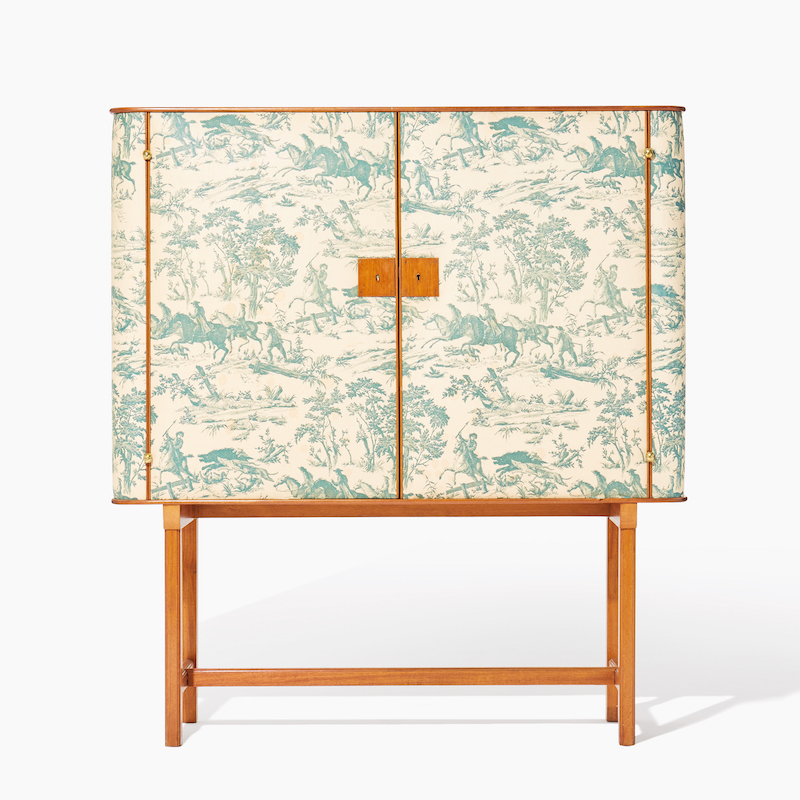 Josef Frank's two cabinets are anything but ordinary. This one, designed 1938-39, is dressed in chintz with hunting motif. The streamlined design with the charming decorative element is certainly a stylish place to store your best tableware. 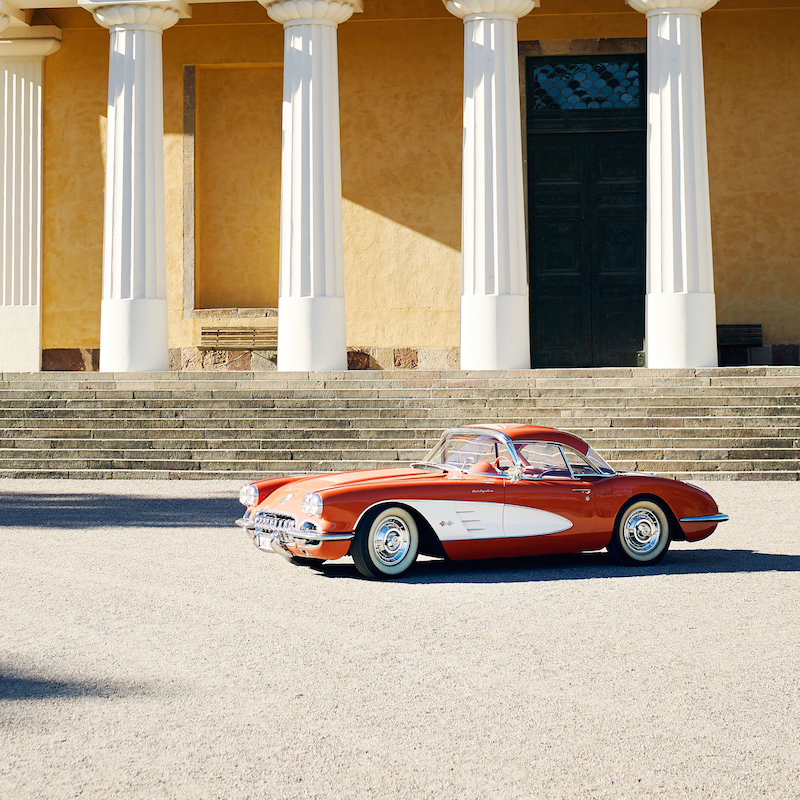 This vintage auto is a Chevrolet Corvette C1 convertible 1958, perfect for leisurely rides into the countryside or along the coast, conjuring visions of classic glamour. Can you imagine a cozier seat? 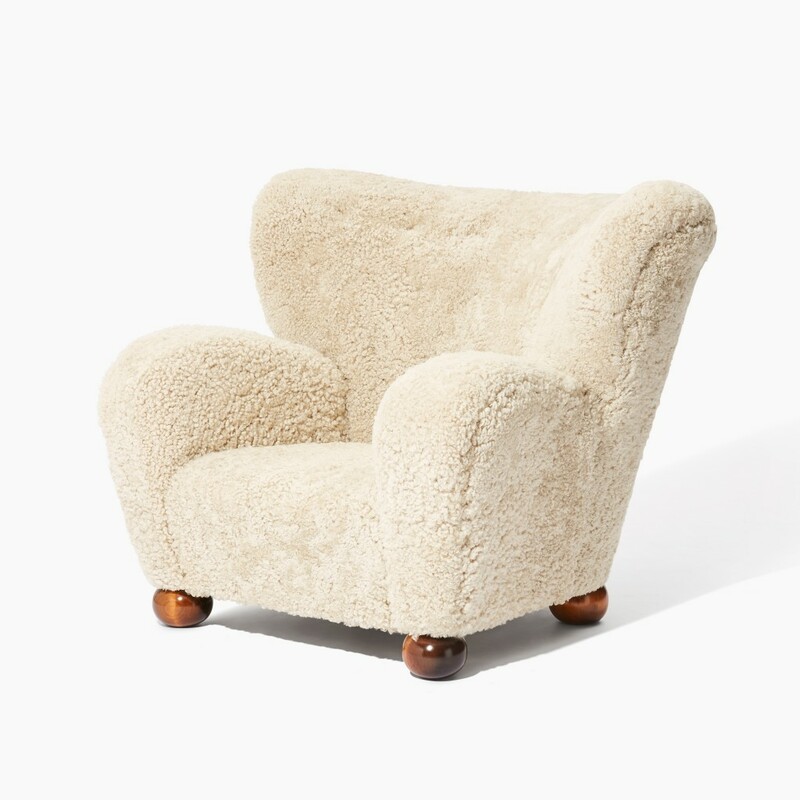 This divine sheepskin armchair was designed by Maria Blomstedt in 1939 for a spa resort in Finland. With classic Scandinavian style and a plush sheepskin cover, this piece will make your home feel like a sanctuary. 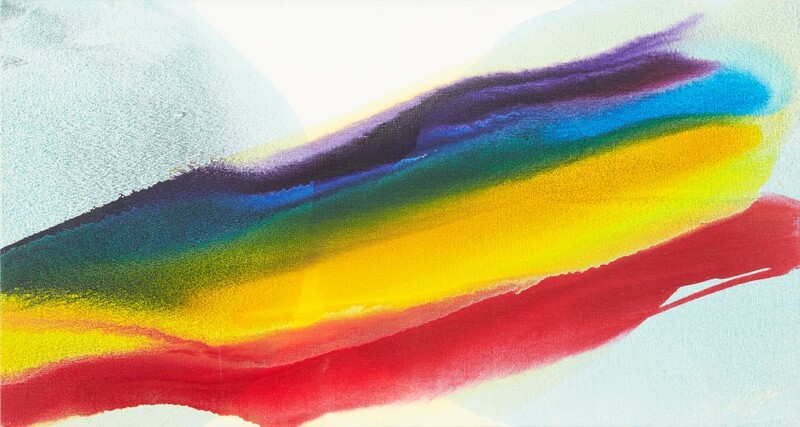 Paul Jenkins was an American Abstract Expressionist who embraced vivid colors, a pouring method (spilling paint directly on canvas) and complete abstraction. He worked in a variety of mediums, from oil and acrylic to watercolor, collage and sculpture, and his work has graced many prominent collections, including MoMA, the Guggenheim Museum and the National Gallery of Art. He was inspired by Goethe's color theories and titled many of his paintings Phenomena, as here. The jeweler Carl Fabergé provided the Russian aristocracy with elaborate jewels and created his famous Fabergé Eggs for the Russian Imperial House between 1886 and 1917. 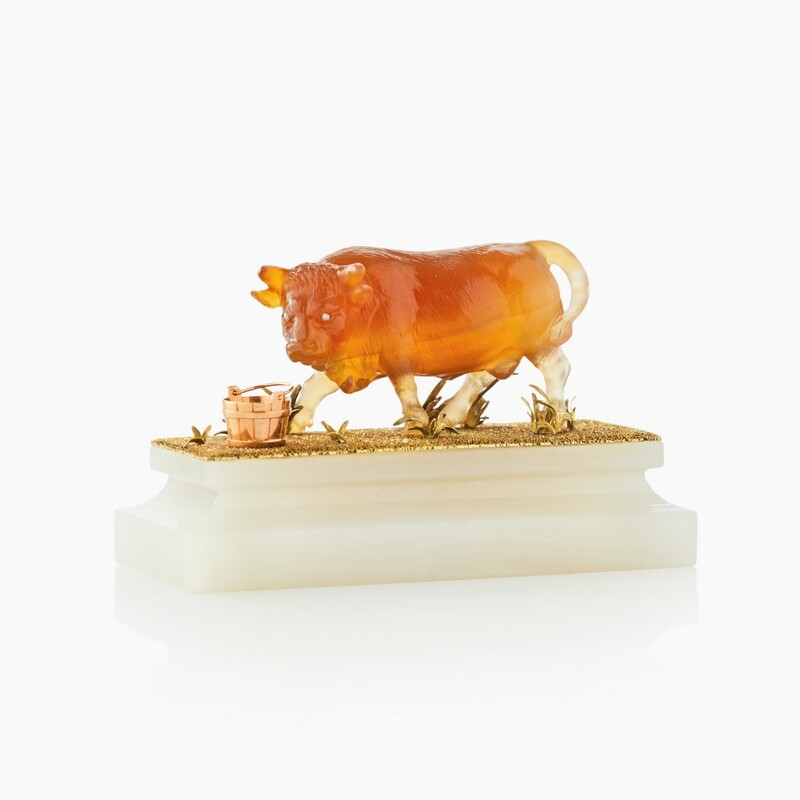 Here is a hard stone figure of a bull in carnelian with diamonds on an agate base from the late 19th century at the height of Fabergé's celebrity.